This is the official Memory of Flemuel Brown Jr. Funeral Home. 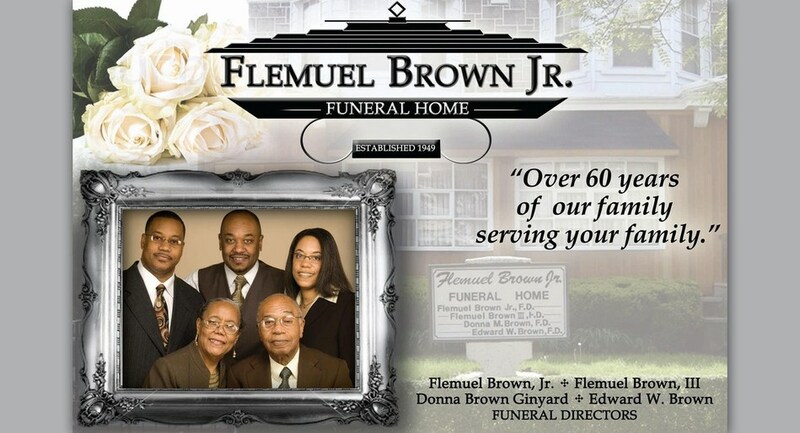 Located at 701 S 60th St., in Philadelphia (215-747-5844), the Flemuel Brown Jr. Funeral Home has been serving the Philadelphia community with care and compassion for over 65 years. We offer many types of services such as: traditional burial, memorial services, cremations, direct cremations, military burial, or any type of religious or ethnic services of your request.